After battling for just over four hours, the Spaniard emerged with an emotional victory with Murray saying he could come back to Melbourne next year. Emotions were running high on Melbourne Arena as Andy Murray played the final match of his Australian Open career against Roberto Bautista Agut with the 22nd seed claiming a 6-4, 6-4, 6-7 (5), 6-7 (4), 6-2 victory in four hours, 14 minutes. 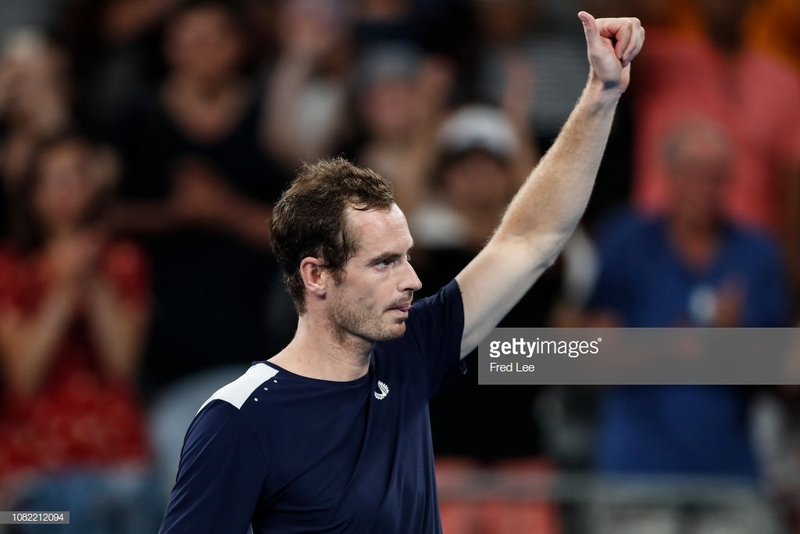 Murray, who announced his retirement from tennis just three days earlier, quickly fell behind, but rallied to nearly complete what would have been the tenth career two-set comeback of his career. The Brit lost in the first round of a major for the first time since 2008. In a match that was expected to be played from the baseline, it was the serve of both men that dominated the early stages of the match. Neither player faced a break point through the first seven games with Murray hanging on to a 4-3 lead. A five-time finalist in Melbourne, the Brit then was presented with the first chance of the match as he held a break point in the eighth game, only to see Bautista Agut fight it off. That proved to be costly when Murray missed a forehand on break point in the next game to give the 22nd seed a 5-4 lead. He closed out the set a game later to take the lead. Again, Murray had the first chances to break as he held two break points in the second game of the second set only to see Bautista Agut again fight them off. In what was a carbon copy of the opening set, the Spaniard soon broke thereafter after a 29-ball rally saw him put away a forehand volley. Now ahead 3-2, Bautista Agut continued to play at a high level, holding with relative easy in his next two service game to go ahead 5-4. Serving for a two-set lead, the 22nd seed found himself at 30-30 before winning the last two points, including an ace on set point, to take a two-set advantage. The two men traded breaks early in the third set with Bautista Agut breaking in the third game only to see Murray peg him back one game later. Again, both players were dominant on serve until the eighth game when the Doha champion had another chance to take the lead. Murray saved the break opportunity with a backhand up the line followed by two forehand winners to hold for a 5-4 lead. He then held a set point in Bautista Agut's next service game only to see the Spaniard save it and hold. The set went to a tiebreaker where the Brit gained an early minibreak edge early and a minibreak late to take it 7-5. Unlike the first three sets, the fourth set did not feature a single break chance. Both men continued to serve incredibly well as Bautista Agut lost just five points on serve the entire set, Murray just seven as the set would go to a tiebreak. After trading minibreaks in the first two points, the three-time major champion won five points on the trot, including a beautiful forehand volley winner to go ahead 5-1. Bautista Agut rallied to win the next three points, but Murray was able to close out the set after the Spaniard dumped a forehand into the net to force a fifth and deciding set. With the crowd firmly behind him and momentum clearly on his side, Murray opened the final set with a hold to 15. He then won the first two points on Bautista Agut's service game to take a 0-30 lead. The turning point came when the Brit just missed a crosscourt backhand wide, enabling Bautista Agut to get back in the game and eventually hold. The Spaniard took the lead for good soon after as he drew an error from Murray on his second break chance of the third game to go in front 2-1. A love hold made it 3-1 and a powerful forehand drew another weak reply from the former world number one in the next game as Bautista Agut went up a double break. The remainder of the set was a mere formality as a visibly emotional Murray, trailing 5-1, saved a match point to force the Spaniard to serve it out and after arriving at match point, he blasted a forehand that drew one last error to close out his first career victory over Murray. Joining former coach Mark Petchey for a post-match interview, Murray said: "Today I knew it was potentially the last match I play; I don't care if I damage my hip anymore in the match so it's a bit easier to deal with the pain because I know I don't have to hit balls tomorrow". After a video tribute from stars such as Roger Federer, Rafael Nadal, Caroline Wozniacki, Karolina Pliskova, John Isner and Nick Kyrgios, he delighted the capacity crowd by saying "I don't know----maybe I'll see you again. I'll do everything possible to try. "If I want to go again, I'll need to have a big operation, which there's no guarantees I'll be able to come back from, anyway, but I'll give it my best shot". He said he would make the decision in the next week or so and also stated "If I go ahead with the operation, and I don't recover well from it, then I don't play again, I'm aware of that. That is the decision I have to make. It will improve my quality of life; I'll be in less pain doing normal things like walking around and putting your shoes and socks on and things". He said if Monday's loss was his final match, "it was a brilliant way to finish. That's something I'll probably take into consideration, as well. It was an amazing atmosphere. I literally gave everything that I had on the court, fought as best as I could, and performed a lot better than what I should have done with the amount I've been able to practice and train".